In Dilliraman Regmi’s two—part series on Nepal’s modern history, the author covers the eighteenth century — the period in which it emerged as a nation for the first time. 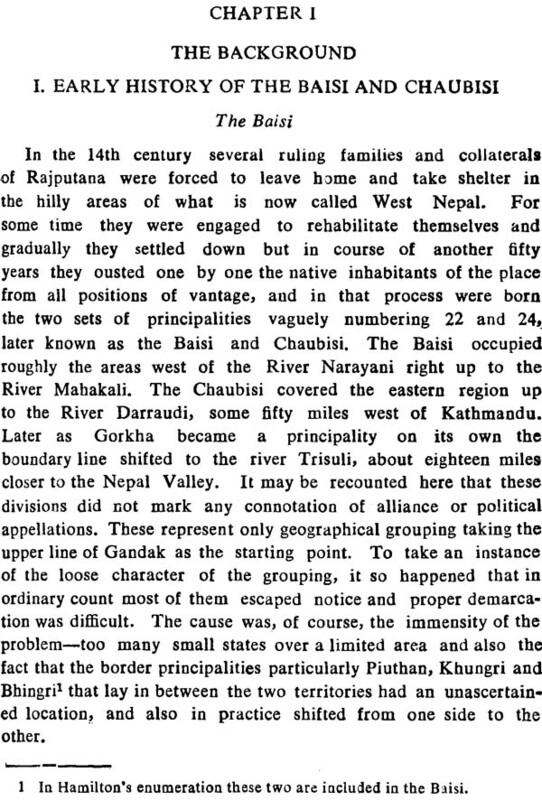 In Modem Nepal (Volume I) he has covered that era when Nepal as a state emerged in its present form around the late eighteenth century, when the small hill kingdom of Gorkha, some eighty miles west of Kathmandu, brought much of the Himalayan foothills and an adjoining strip of the North Indian plain under its control. Various small states were then merged into a nation and a different ruling dynasty took over power. The Shah dynasty began to rule and Malla dynasty rule came to an end. In describing this exciting period in Nepal’s history, the author has written an account not to be missed by students and scholars of history. Modem Nepal (Volume II) describes how Gurkha armies for the first time seized territories far beyond the present—day Nepal; Nepal’s entry into treaty relations with Great Britain; and how Gurkha expansion into North India led to a border war. The author has also effectively captured the struggle for power among the Nepalese nobility which culminated in the rise to political dominance of the Rana family. A true account of what went on before Nepal became a nation from an authoritative historian; this is a book which cannot be missed. Dr Dilliraman Regmi was born in 1915 in Kilagal, Kathmandu. He earned his M.A. and M.Litt. degrees from India. In 1961 Patna University conferred on him a Ph.D in economics and he later obtained a D.Litt. from the same university. Dr Regmi was the first Nepali who received an honorary D.Sc. degree from the then Soviet Union. Dr Regmi wrote and published several volumes on Nepal’s history including A Century of family Autocracy, Nepalese Democratic Struggle and Indo-Nepalese Relations Through the Ages. He died in 2001. I feel greatly honoured and take pride in introducing the great works, philosophy and life of a ‘Great Son of Nepal’ — The late Dr Dilli Raman Regmi. Dr Regmi, for his whole life as a politician, fought for peace, non violence and democracy. As a matter of fact, he proved it true that, to be a successful politician, it is not always necessary that one needs to be in power. Gandhi never took the reign of power in his own hands, but he is remembered every moment by the whole world. Dr Regmi was a great admirer of Mahatma Gandhi and Lord Buddha for their role as an apostle for peace. On Buddha, I personally have advocated an alternative title since 1995, as ‘Light of the Universe’ in place of the present title ‘Light of Asia’. In fact, if Dr Regmi was living today, he would have whole-heartedly supported this notion, for, he was a champion for peace. He even celebrated October 2, Gandhi’s birth anniversary and Buddhapoornimaa, Buddha’s birth anniversary, every year. At this juncture, I strongly believe that we need ‘Light of Peace’ even in this age of so called Space-War. Politically speaking, Dr Regmi fought against Nepal’s 104-year—old—Rana- autocracy and stood firmly in favour of democracy during post-1950-period also. In between, he also became Minister of Education, Foreign Affaires, Health and Home Affaires, etc: But in his later part of life, he rejected even the post of the Prime Minister. 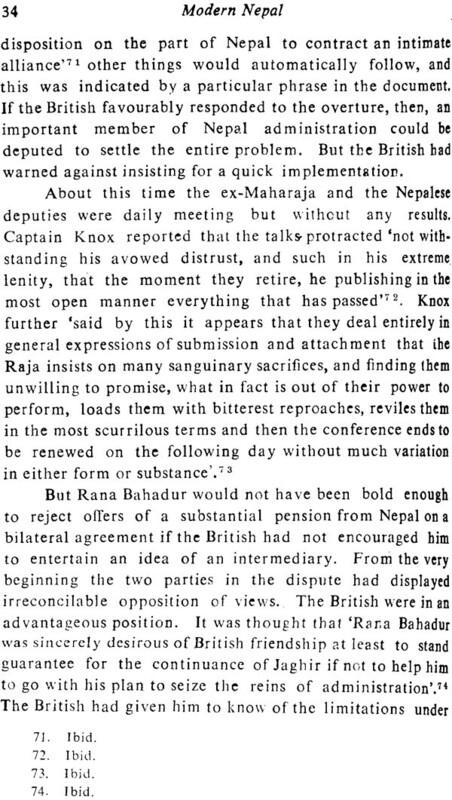 The then King Mahendra, after his infamous Royal Coup against the then elected BP Koirala Government in 1960, had offered him the post of Prime Minister of Nepal. He also rejected tl1e late King Birendra’s offer to be PM several times during Panchayat System and even, to lead the post in the 1990 interim government. Meaning that I personally do not have any interest of having a nation- state, neither I want heaven, nor a re—birth in a high family; rather I want to work for the suffering people to relieve their pain... Pragmatically, this school of thought tallied with Dr Regmi’s later part of life leading towards- Vodhisattva. Dr Regmi was a great scholar of Nepal. He never introduced himself as a historian but has seventeen books in total to his credit. He was not only the first D.Lit. of Nepal, but also the first Nepalese to write Nepal’s history in a foreign language — English. Both spiritually and materially speaking, whatever he earned on this earth, he gave it all to the nation and the world. He donated all his property including monetary gains to the then His Majesty’s Government of Nepal. Presently, Government of Nepal is particularly taking care of his generosity and creativity. 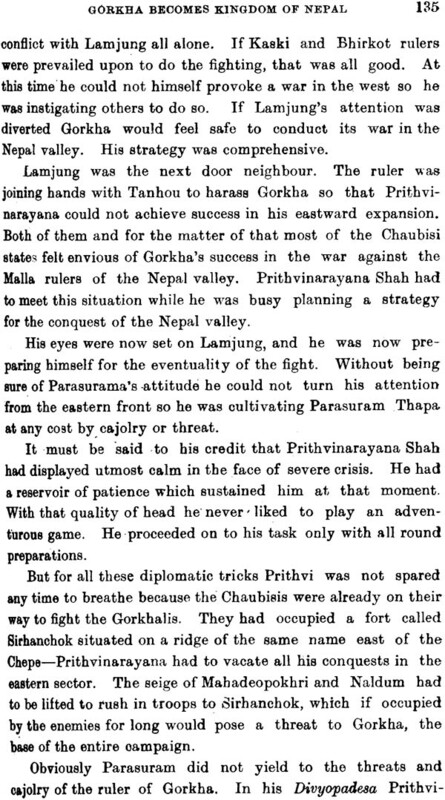 Many pundits of History of Nepal regard him as the real ‘Itihaas— Shiromani of Nepal’. Some also décor him as Nepal ‘Itihaasratna’. Both seem tending to denote a ‘Crest Jewel’ among Nepalese historians. We, from Dr D.R. Regmi Foundation, are approaching the Government of Nepal, now; to declare Dr Dilli Raman Regmi as ‘Nepal Itihaasratna’ posthumously. He had started his serious writing in 1940’s. 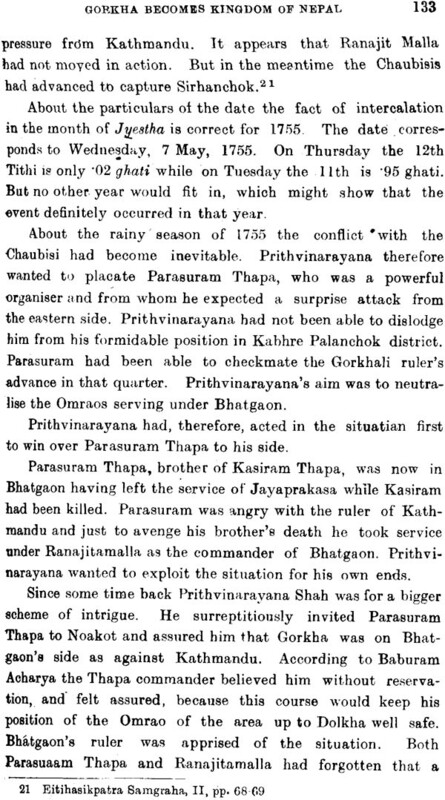 Even though, he belonged to Guruju Family, very close to the Ranas, but he was a vehement critic of the Ranas. He had to leave Nepal to write against them. The outcome was the popular book A Century of Family Autocracy in Nepal. In the early fourties, he was imprisoned by the Britishers for his active participation in the ‘Quit—India-Movement Thus, he was a ‘Freedom Fighter’ in Nepal and abroad. But he had to pay a high price for it, for he lost his first wife Mrs. Kalyani Regmi, while he was in British India jail. Late Mrs. Kalyani Regmi had a heart attack in her mid—twenties from the fear of the bad news that the Britishers would kill/have killed him. This great soul Dr Regmi offered valuable contributions to Nepal, South Asian Region and the world at large. Considering the high demand of his books in the market, out of his vast treasure of works, we are proudly reprinting and publishing his already out-of-print books: Medieval Nepal (four volumes) and Modem Nepal (two volumes). This volume in your hand is one of the great works of Dr Regmi as a part of his six volumes mentioned earlier. I sincerely hope that the scholars of the world will highly benefit from this master piece. I also take this opportunity to extend my appreciation to Rupa & Co, New Delhi, India, for taking interest to republish these books and my colleagues in Nepal for supporting my mission. With this I have placed before the reader the second edition of ‘Modern Nepa1’. This is a thoroughly revised and enlarged edition. Many materials which had not been used in the earlier edition have now been incorporated partly to correct errors and in other ways to add to facts of history so far unknown. This was not possible while the first edition of the book was planned as I wanted to make it as short as possible to meet the requirement of the student community preparing for university examination The new edition is primarily for scholars. The manuscript was prepared in 1967 and it took some time to get it typed. This was handed over to the publisher four years ago in 1970. I am sorry that it is just now only seeing the light of publication. But anyhow I am glad that however late it is being published. Source materials which I thought to be original, have now been used by others as well. To that extent I have lost which was my due. The disadvantage of delay in the press is this that now at this stage I cannot claim originality of discovery for them although. I possess them from 1954 having all copied from the Ministry of Foreign Affairs during my tenure of office as Foreign Minister. Then nobody' had the idea of the existence of these materials. I mention it to the knowledge of all that a large part of the sources for the history of the period comes from the Foreign Office collections and we owe a debt of gratitude to those who deposited with the collections their own materials from time to time. This is the third volume of the series—‘History of Nepal" and deals with the period between 1750 and 1800 A.D. The present volume has nine chapters. The last chapter describes political and economic condition of the time which also applies to the half of the nineteenth century. 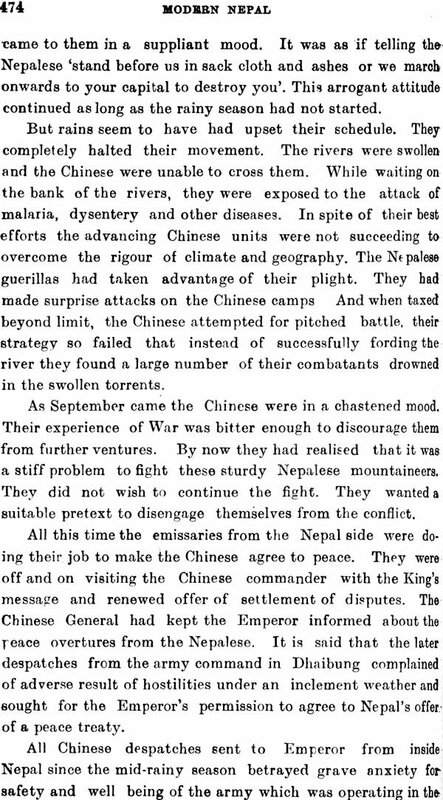 We have a separate volume for the period of the Anglo- Nepal War of l814-18l6. Originally this was designed to be included into the third volume as its second part. But on second thought we found that it deserved to go by itself as a separate volume, and consequently the fourth volume was planned- Further, as we have to maintain an unbroken link between all events of expansion and conquest, we have brought the entire account of such ventures together at one instance in this volume. Thus the reader will find that all description of Nepal’s fight over and annexation of Garhwal and Kumaon is incorporated at one place in the present work. We did not like to deal with the phases of conquests and expansion in the manner that the same followed the chronology of the ruling dynasty. The year 1809 had seen the climax of the whole process of expansion with the boundary of the Gorkha domain fixed at Sutlej where it touched the Sikh Kingdom. But this phase finds its description in the next volume. 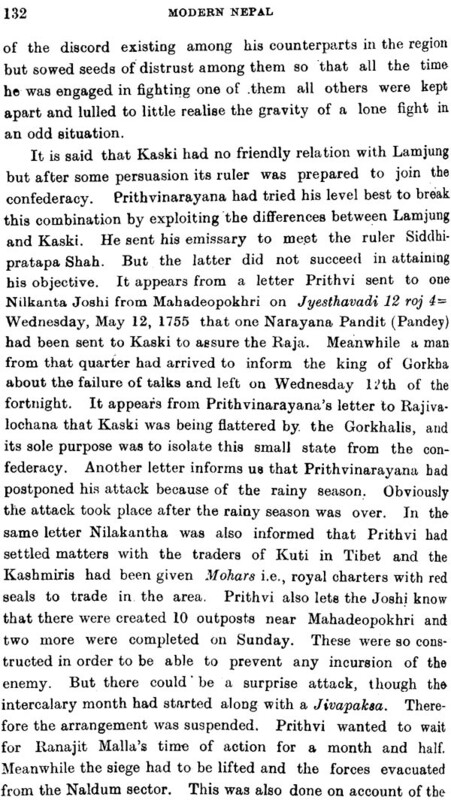 Prithvinarayan Shah is the maker of modern Nepal and therefore, we begin our history with his career of conquest, and with the expansive phase of the Kingdom of Gorkha which after twenty years of incessant struggle to grow and widen transformed in its largesse to become a new state with its capital in Nepal proper. This state from its very inception came to be called the Kingdom of Nepal. We shall see later in the body of the text that this state was much different in size and population from the old entity known in ancient and medieval history by that name. 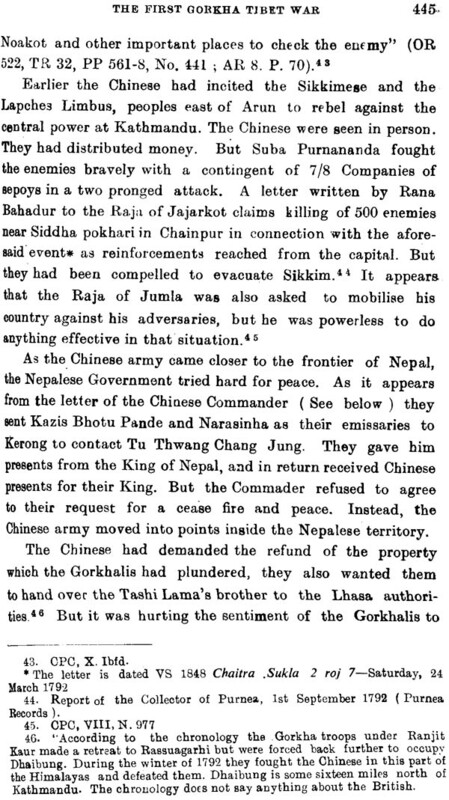 Nepal grew to an immense size expanding on either, flanks, and its reputation as the home of the valiant Gorkhali fighters had spread far and wide in the eighteenth and early nineteenth centuries. 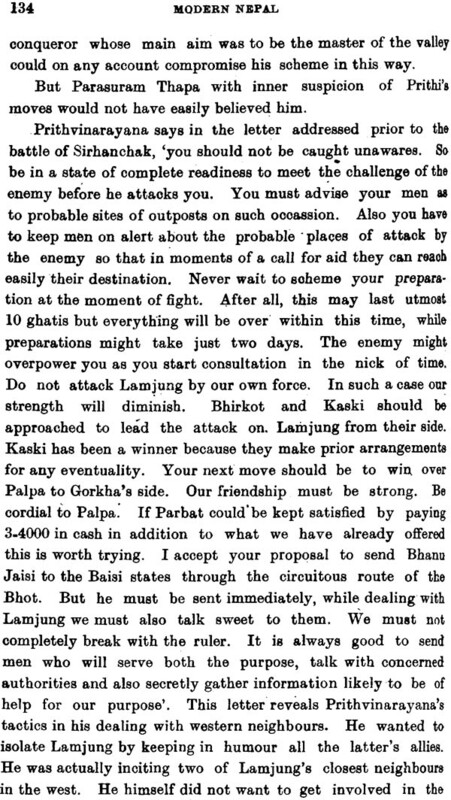 The Gorkhalis were regarded as invincible warriors. 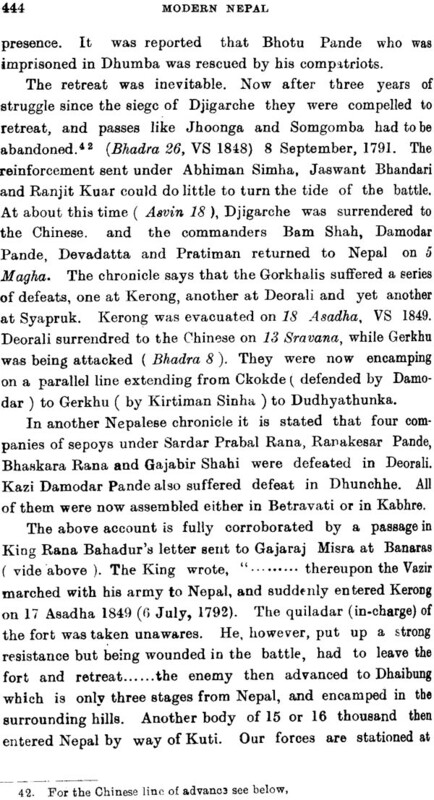 The Gorkhali ruler had defeated two invasions from the south, one organised by Mir Kasim and another by the British Governor Verelst. 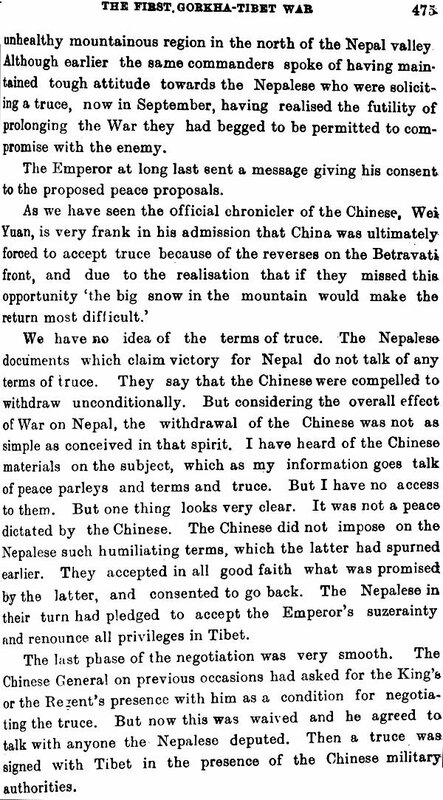 The defeat of the English expedition had generated new enthusiasm and enhanced Nepal’s prestige in the eyes of the Indian people. 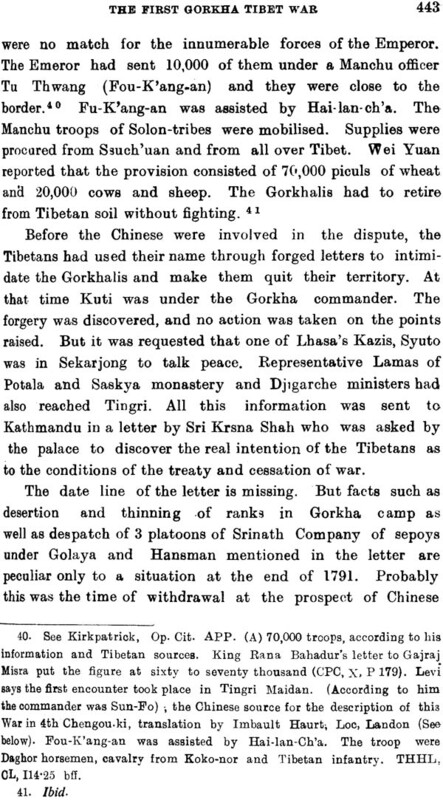 But their march got checkmated once in 1792 by the Chinese army in Tibet, and at another time about 22 years later in the Himalayan region and in the lower reaches of the Seven-Gandaks and Kosi in the plains by the British. 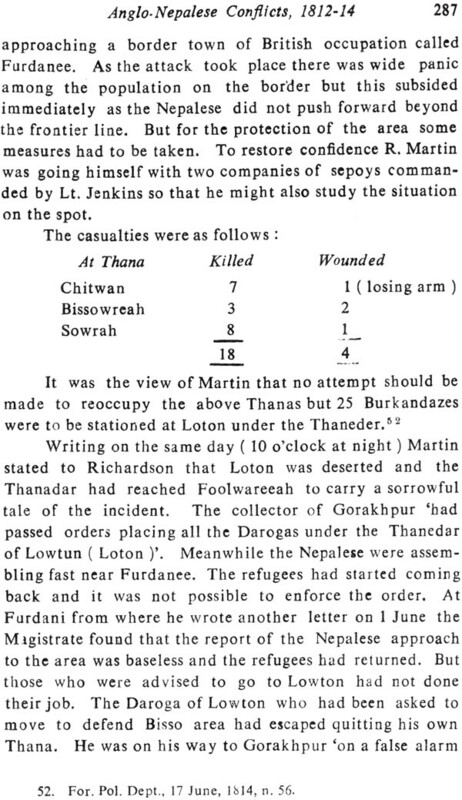 On both the occasions Nepal was heavily defeated. 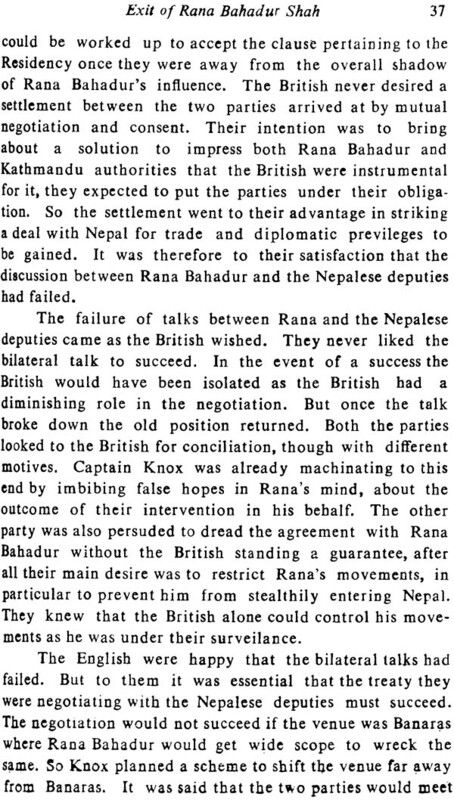 But the second occasion proved more critical and Nepal lost al substantial portion of its newly added territories to the British. 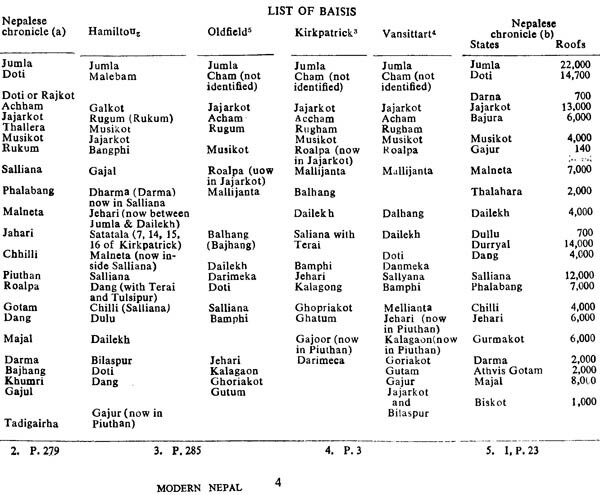 Since 1816 Nepal also ceased to be a great country power. But in its heyday Nepal lived gloriously because it kept- its banner of freedom aloft, met the enemies generously and chivalrously and treated the vanquished with dignity and kindness. The story told in this volume covers in detail all important events of the most glorious chapters of the history of Nepal. In the past the treatment of this period of history had been in the form of a passing reference to one or two important personalities of the time. As such it covered not more than 'a few pages of space. Now we have a full volume for the same subject. During the last several years, a number of new data had been made available, and this had made it easy to treat the same in all its aspects, and in fuller details. The history delineated in the third volume could be called one of the early modern period Here we no longer have to depend on inscriptions or like documents for sources. The chronicles tend to give more or less ascertained dates as the chronicler in all cases happens to write about events within his memory. 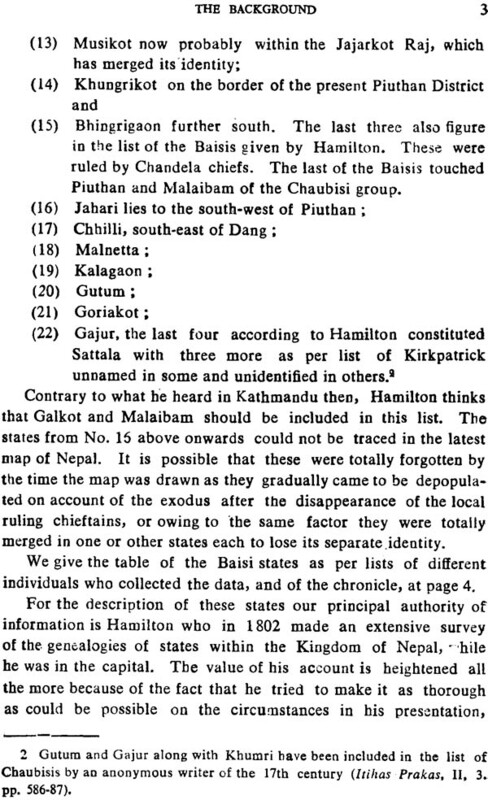 As this period coincides with early British rule in India, we have also in many instances British Indian sources to verify any unascertained date figures. Other source materials are Canada, royal and official charters, letters and memorials and notes prepared by foreign visitors. All this makes the writing of history of the period concerned comparatively an easy affair. 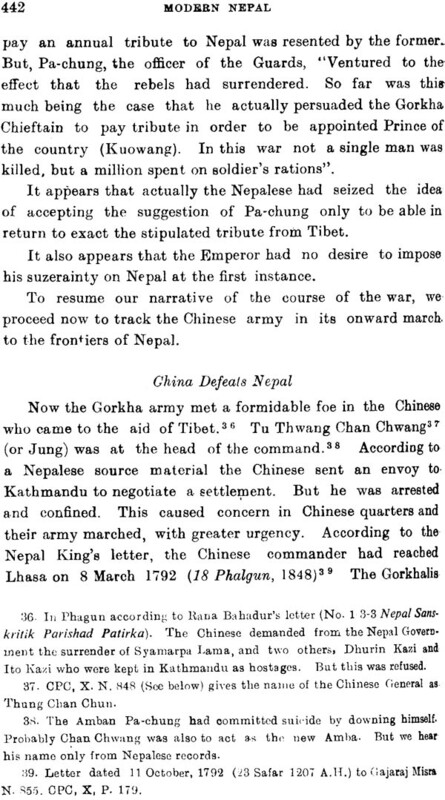 The chapter providing the account of Nepal’s relation with neighbours was written with the help of materials mostly provided by British sources except the section about the Sino-Nepalese War, for which we have as supplementary evidence materials from Nepalese and Chinese sources. I feel greatly honoured and take pride in introducing the great works, philosophy and life of a 'Great Son of Nepal' - The late Dr Dilli Raman Regmi. Dr Regmi, for his whole life as a politician, fought for peace, non- violence and democracy. As a matter of fact, he proved it true that, to be a successful politician, it is not always necessary that one needs to be in power. Gandhi never took the reign of power in his own hands, but he is remembered every moment by the whole world. Dr Regmi was a great admirer of Mahatma Gandhi and Lord Buddha for their role as an apostle for peace. On Buddha, I personally have advocated an alternative title since 1995, as 'Light of the Universe' in place of the present title 'Light of Asia'. In fact, if Dr Regmi was living today, he would have whole-heartedly supported this notion, for, he was a champion for peace. He even celebrated October 2, Gandhi's birth anniversary and Buddhapoornimaa, Buddha's birth anniversary, every year. At this juncture, I strongly believe that we need 'Light of Peace' even in this age of so called Space-War. Politically speaking, Dr Regmi fought against Nepal's 104-year-old-Rana- autocracy and stood firmly in favour of democracy during post-1950-period also. In between, he also became Minister of Education, Foreign Affaires, Health and Home Affaires, etc: But in his later part of life, he rejected even the post of the Prime Minister. 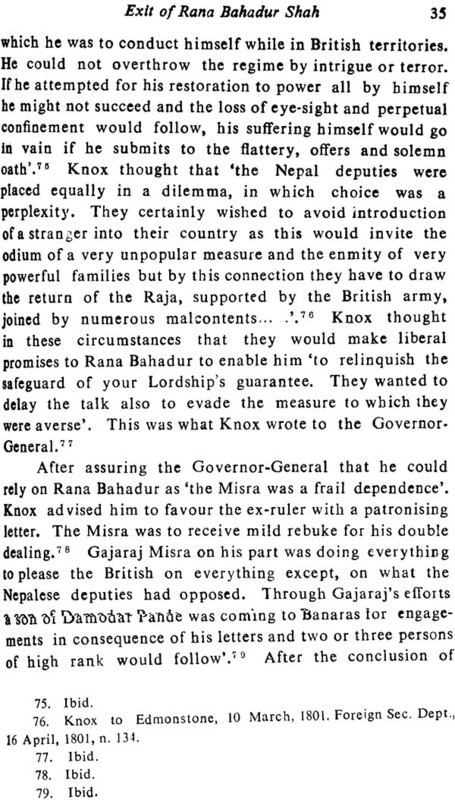 The then King Mahendra, after his infamous Royal Coup against the then elected B.P. Koirala Government in 1960, had offered him the post of Prime Minister of Nepal. He also rejected the late King Birendra's offer to be PM several times during Panchayat System and even, to lead the post in the 1990 interim government. Meaning that I personally do not have any interest of having a nation- state, neither I want heaven, nor a re-birth in a high family; rather I want to work for the suffering people to relieve their pain ... Pragmatically, this school of thought tallied with Dr Regmi's later part of life leading towards- Vodhisattva. Dr Regmi was a great scholar of Nepal. He never introduced himself as a historian but has seventeen books in total to his credit. He was not only the first D.Lit. of Nepal, but also the first Nepalese to write Nepal's history in a foreign language - English. Both spiritually and materially speaking, whatever he earned on this earth, he gave it all to the nation and the world. He donated all his property including monetary gains to the then His Majesty's Government of Nepal. Presently, Government of Nepal is particularly taking care of his generosity and creativity. Many pundits of History of Nepal regard him as the real 'Itihaas- Shiromani of Nepal'. Some also decor him as Nepal 'Itihaasratna'. Both seem tending to denote a 'Crest Jewel' among Nepalese historians. We, from Dr D.R. Regmi Foundation, are approaching the Government of Nepal, now, to declare Dr Dilli Raman Regmi as 'Nepal Itihaasratna' posthumously. He had started his serious writing in 1940's. 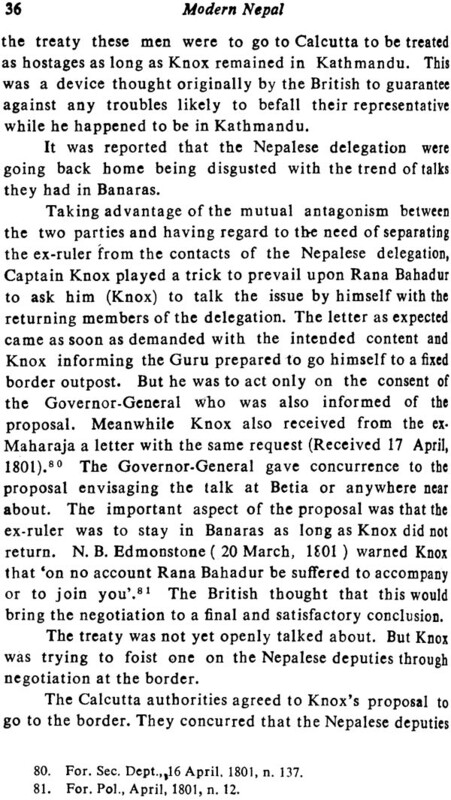 Even though, he belonged to Guruju Family, very close to the Ranas, but he was a vehement critic of the Ranas. He had to leave Nepal to write against them. The outcome was the popular book A Century of Family Autocracy in Nepal. In the early fourties, he was imprisoned by the Britishers for his active participation in the 'Quit-India-Movement.' Thus, he was a 'Freedom Fighter' in Nepal and abroad. But he had to pay a high price for it, for, he lost his first wife Mrs Kalyani Regmi, while he was in British India jail. Late Mrs Kalyani Regmi had a heart attack in her mid-twenties from the fear of the bad news that the Britishers would kill/have killed him. This great soul Dr Regmi offered valuable contributions to Nepal, South Asian Region and the world at large. Considering the high demand of his books in the market, out of his vast treasure of works, we are proudly reprinting and publishing his already out-of-print books: Medieval Nepal (four volumes) and Modern Nepal (two volumes). This volume in your hand is one of the great works of Dr Regmi as a part of his six volumes mentioned earlier.